OSOGBO – Justice Maurine Onyetenu of a Federal High Court, sitting in Osogbo, Osun State, Wednesday, granted leave to two Nigerians, Kanmi Ajibola, a lawyer and Sulaiman Adeniyi, a human right activist in their suit, seeking to compel the National Assembly to initiate impeachment proceedings against President Muhammadu Buhari. 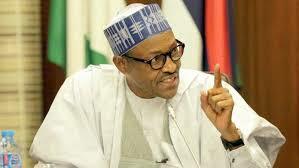 The Presidency, however, claimed not to be aware of Wednesday’s court order. President Muhammadu Buhari Chats with the Vice President Yemi Osinbajo The duo had three months ago written to both the lower and the upper chambers of the National Assembly on the need to impeach President Buhari, citing alleged constitutional breaches by the president and threatened that they will approach the court if lawmakers fail to act accordingly. But when the lawmakers refused, they headed to court, asking for an order of mandamus to compel both the Senate and the House of Representatives to start the impeachment proceedings of President Buhari. The two Nigerians had hinged their arguments on four grounds on why the National Assembly should impeach the Buhari. In the motion ex-parte, the duo are contending that in flagrant violation of the 1999 constitution, President Buhari contested the election, won and was sworn in as the president on May 29, 2015 without possessing the basic constitutional requirement, which would have made him qualified for the contest of the election. They further alleged that President Buhari in flagrant violation of section 137 (1) (j) of the 1999 constitution presented a forged certificate to the Independent National Electoral Commission, INEC, for the purpose of the 2015 presidential election that brought him to the office of the president. The applications in the suit, are further contending that “In the light of the 4th respondent’s placement to continue in the office as the president, he has no certificate and basic requirement upon which this placement to continue in the office can be placed.” They accused the president of treating the orders of the court with a great disdain and abuses the constitution of the Federal Republic of Nigeria at will, particularly from the angle of the observance of the federal character as contained in section 14 of the constitution. Justice Onyetenu, in her ruling, granted the applicants leave to move and argue their suit for an order of mandamus, compelling the National Assembly commence the impeachment of President Muhammadu Buhari.” The court adjourned till October 30, 2018 for the hearing of the suit.